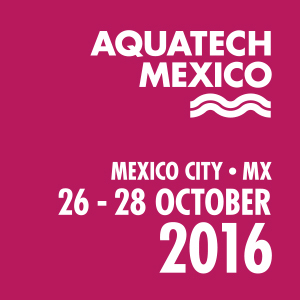 QUA will be attending Aquatech Mexico. The event will take place from September 4-6 at the Mexico Room in Mexico City. QUA will be located at booth #619 in the USA Pavilion. At this show, QUA will be featuring our EnviQ technology. QUA’s EnviQ® flat sheet submerged ultrafiltration membranes have been specially developed to improve the ease of operation and maintenance of MBR facilities. EnviQ’s innovative design offers ultrafiltration quality product water with a stronger and more rugged PVDF flat sheet membrane. The unique features in EnviQ consist of reverse diffusion and specially designed air diffusers, which maximize scrubbing efficiency, lowers pressure and reduces cleaning.